Richard Cook joined Lahti Search Consultants in 2008 after serving for twelve years as president of Allegheny College in Pennsylvania. Prior to joining Allegheny, he was a member of the faculty and later the provost at Kalamazoo College in Michigan. 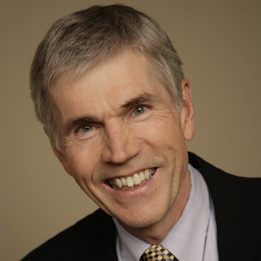 His professional experience includes leadership roles in the Great Lakes Colleges Association, Council of Independent Colleges, Annapolis Group, North Coast Athletic Conference, Bonner Foundation Scholars Program, Project Pericles, the Presidents’ Climate Commitment, and the New York Times Partnership. Richard has visited dozens of campuses nationally and internationally for program review and accreditation, strategic planning, leadership development, and international exchange. He has participated in numerous personnel searches as an institutional leader, search committee member, and search consultant and has extensive experience in building strong applicant pools, interviewing, referencing, and candidate mentoring. He enjoys an extensive network of college presidents, academic and enrollment vice presidents, foundation heads, and leaders of state and national higher education organizations. You can read about Richard's role as president of Allegheny College on the Allegheny College website. Richard received his bachelor’s degree from the University of Michigan, a doctorate in chemistry from Princeton University, and a certificate in German language from the Goethe Institute in Germany. He is a member of Phi Beta Kappa and was conferred an honorary doctorate and the title president emeritus by Allegheny College. Richard was awarded multiple gubernatorial and legislative citations of merit for his work in education, environmental chemistry, and public policy. He is currently a board member of Second Nature, the body that oversees the American College and University Presidents’ Climate Commitment. Richard divides his time between the Minnesota and Michigan locations of Lahti Search Consultants. He has enjoyed professional and personal travel on six continents and continues to stay informed about national and international economic and political issues.